Really, is there at least one villain, who will be able to defeat the legendary Percy Jackson? No matter how clever and cunning is this villain, no matter how witty and subtly laid out is his evil plot - when Percy Jackson comes into the fight with an ancient evil, evil has no chance left. 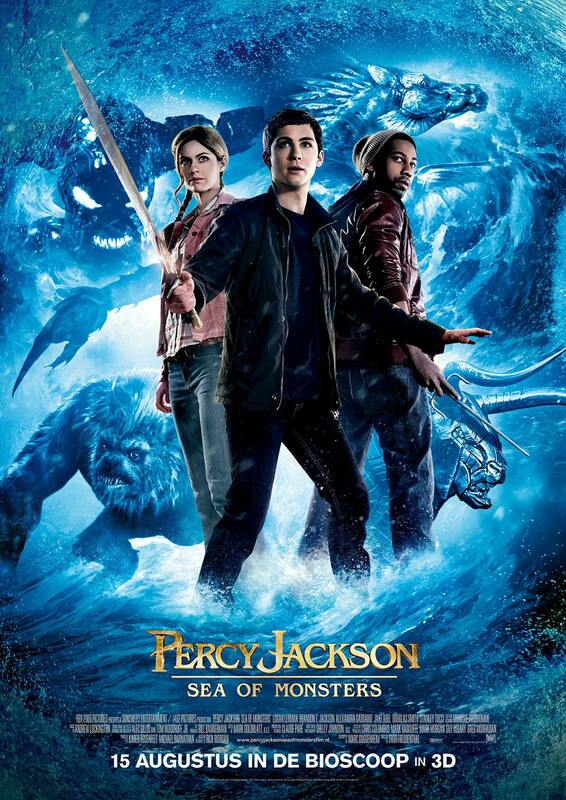 We have already seen this on a bright example of "The Lightning Thief" in 2010, and now we are looking forward to the opportunity to see it again in the continuation of the mythological epicness: "Percy Jackson: The Sea of ​​Monsters." We can encounter this epicness even today by watching the Percy Jackson trailer. Of course, a complete picture of the coming adventure is no conveyed by the trailer, but at least it provides a glimpse into the magical world of gods, demigods, nymphs, satyrs, loyal friends and exciting adventures. Yes, Percy Jackson is truly back in all his glory, and as it can be seen in the Percy Jackson trailer, Logan Lerman finally looks like a brilliant heroic son of Poseidon, compared to what we have seen three years ago. He is far more mature and cute, and the same thing happened to the story of his adventures. Enemies had become more serious, drama has become thinner, relationships acquired emotional depth and the risk became fatal. However, the Percy Jackson trailer shows that our hero is still accompanied by his loyal crew, and therefore we should not be worried for his safety. Brandon T. Jackson will return with his charming role of the impatient and charismatic protector satyr Grover, but now he's almost an adult, too - he has grown a pair of little horns. The changes have not spared the magnificent Alexandra Daddario as well, which yet again will captivate the boys of middle and high school age with her role of temperamental daughter of Athena, Annabeth, but this time the cutie will sail into the Sea of Monsters being blonde. Many of our favorite characters from "The Lightning Thief" will not return in the sequel, but the Percy Jackson trailer proves that for a wonderful adventurous fairy tale there is no need for famed actors. The eloquent, master the work of the artists and the natural, naive acting of the young heroes will evidently form yet another legend. This time, of course, the artists were severely tested, as Percy Jackson and his faithful team will have to go on a dangerous journey during which they will be ought to battle such legendary monsters as Charybdis, Scylla, the Cyclops Polyphemus and the treacherous sorceress Circe. All of these monsters naturally inhabit the Sea of ​​Monsters, which we, mortals, call the Bermuda Triangle. Evidently, that is namely a place to hide a powerful artifact, the Golden Fleece, which can prevent the destruction of the world. At this time the destruction of the world may be performed by the ruthless Kronos, father of the three highest gods. In the Percy Jackson trailer it is mentioned that the villains will make an attempt to resurrect Kronos. But, of course, fearless Percy Jackson and his brave and ingenious friends will never allow this to happen.